Multi-platform media tribute will honor 252 fallen law enforcement officers. The National Law Enforcement Officers Memorial Fund (NLEOMF), dedicated to telling the story of American law enforcement and making it safer for those who serve, and its media partners Clear Channel Outdoor Americas , one of the world’s largest outdoor advertising companies, and iHeartMedia, Inc., the media and entertainment company with the largest reach of any radio or TV outlet in America, today announced their third annual partnership to honor fallen law enforcement officers whose names will be dedicated on the National Law Enforcement Officers Memorial in conjunction with this year’s National Police Week events. As the Memorial celebrates 25 years honoring law enforcement heroes, the media effort includes individual digital out-of-home (OOH) tribute creative for each of the 252 law enforcement officers whose names are being engraved on the Memorial walls this year, 123 of whom were killed in the line of duty in 2015. 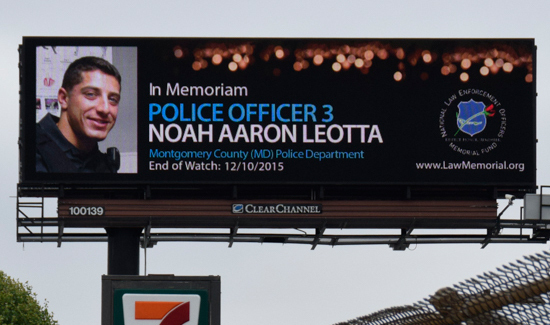 Each officer’s individual OOH tribute will run on CCOA’s digital media in the city or town where the hero served and will feature the fallen officer’s photo (if available), agency name and end of watch date. The officer tributes will unfurl a national, digital out-of-home memorial for four days on the company’s 1,000 plus large format digital billboards and digital bus shelters across 29 of the top U.S. markets. Additionally, public service advertisements (PSAs) will air across iHeartMedia’s more than 850 radio stations to pay tribute to officers who lost their lives and the men and women who protect and serve the communities in which we live and work. The PSAs encourage public participation during the designated week of remembrance and drive listeners to LawMemorial.org, where they can light a virtual candle, donate or simply learn about the heroic acts of these brave men and women. 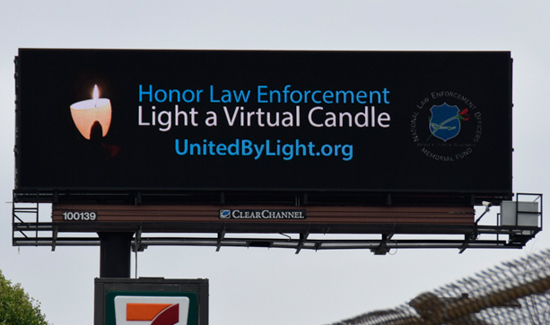 As part of the campaign to honor all 20,789 of the American law enforcement officers added to the memorial since its inception, CCOA is also running creative that encourages the public to donate to the Memorial Fund’s United by Light program by dedicating a virtual candle with a personalized message in honor of a special officer. 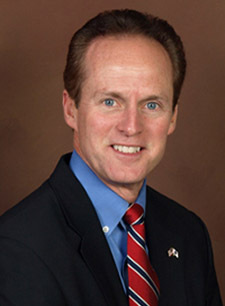 In addition, at 8:00 p.m. 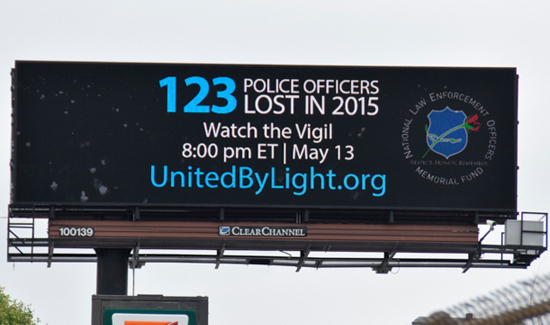 ET on May 13, during the annual Candlelight Vigil held in Washington, D.C., all of CCOA’s large format digital billboards will pause for 2 minutes on a single iconic image in remembrance of the 252 U.S. law enforcement officers whose names are being formally dedicated on the Memorial this year. National Police Week was established by a joint resolution of Congress in 1962 and pays special recognition to those law enforcement officers who have lost their lives in the line of duty for the safety and protection of others. On average, one law enforcement officer is killed in the line of duty somewhere in the U.S. every 61 hours. Since the first known line-of-duty death in 1791, more than 20,000 U.S. law enforcement officers have lost their lives in service. With the dedication of the 252 names recently engraved, the Memorial now bears the names of 20,789 fallen officers. This year’s efforts are especially meaningful as construction of the National Law Enforcement Museum has commenced. In mid-2018, the story of American law enforcement will be brought to life through high-tech interactive exhibits, comprehensive collection of artifacts, extensive resources for research, and diverse educational programming.